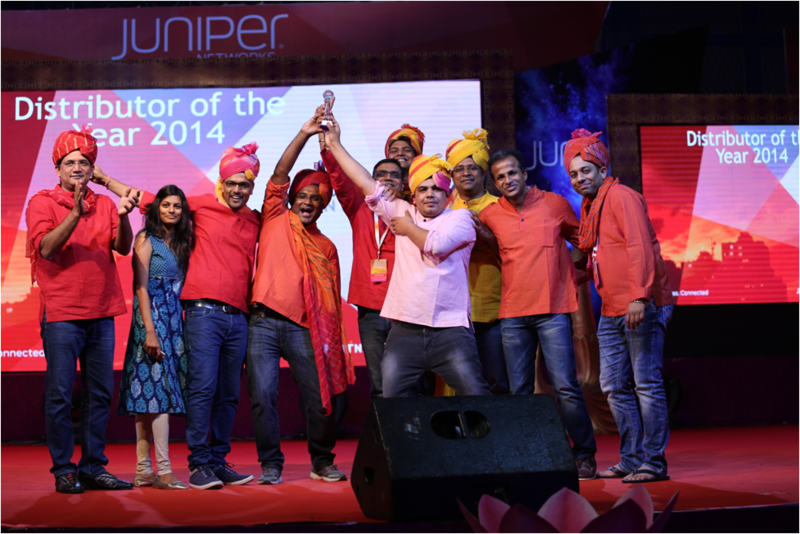 INDIA, 28ND Apr 2015 -Juniper Networks, the Industry leader in Network Innovation, recognized Transition Systems India with its prestigious award - Distributor for the Year 2014 (India & SAARC). Juniper Networks held its Annual India Partner Summit on 15-17 April 2015 at The Fairmont, Jaipur, India. The event was attended by key leaders and representatives from Juniper's Partner & Distributor organizations. Transition Systems India was recognized by Juniper Networks for excellence in Value added Distribution and overall outstanding performance. Transition Systems delivered strong year-on-year revenue growth by providing value add to partners and their customers with end-to-end support, partner enablement activities such as training and channel cultivation, thereby winning the award for Juniper’s Distributor of the Year 2014.